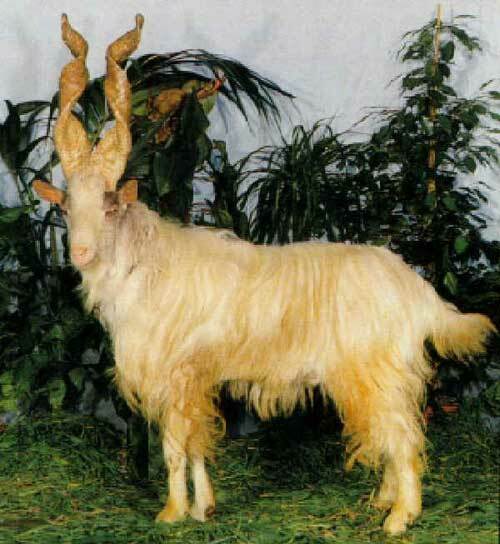 Girgentana Goats are from Agrigento (also known as Girgenti),rnSicily. At one point there were more than 30,000 Girgentana Goats in the hillsrnand coastal zone of the province. However, today the registered population isrnunder 500 goats. rnrnGirgentana Goats have unique horns that twistrninto a spiral. They have a long beard and a primarily white coat withrngrey-brown hair around the head and throat. They produce high-quality milk.